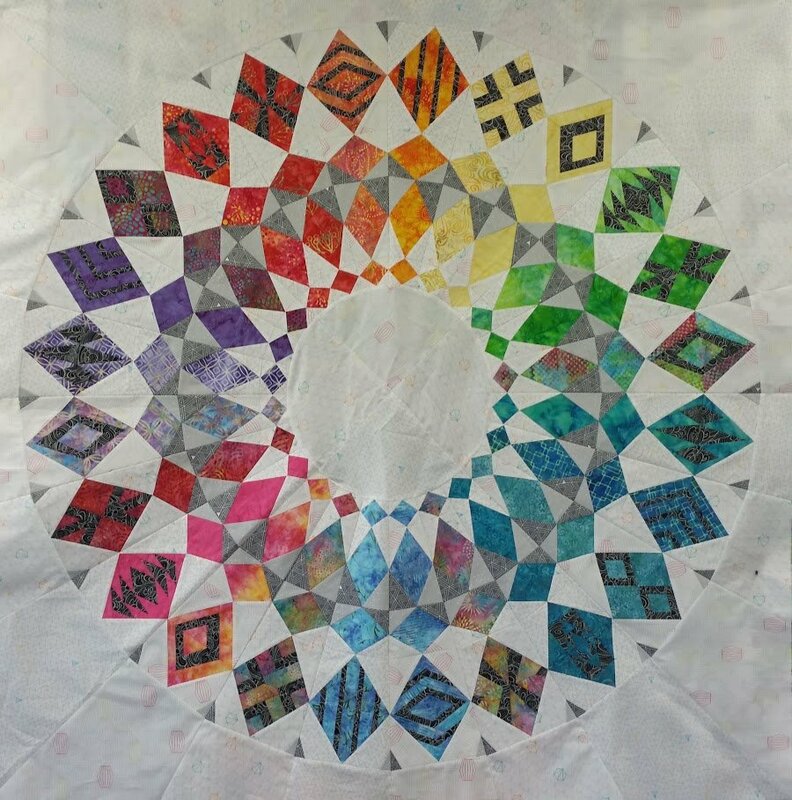 This colorful and awesome square quilt (60” x 60”) will have you thinking in circles. It actually consists of 12 wedge designs with each one repeated once for a total of 24 wedges. It can be made using light or dark background fabrics. Each month you will create of two different pattern wedges using foundation paper techniques and templates that you will make in class. You will also learn techniques for sewing partial circles. The background has 3 different fabrics that alternate throughout the quilt wedges, the outer parts of the wedges and the center. In my quilt, I used light, medium fabrics and dark fabrics within each colorful wedge. The dark fabric was used to create definition and “pop” with the colors. Please copy wedges 1-4 and bring to the first class. You will copy the wedge patterns prior to class on foundation paper. Make sure when copying or scanning you use 100%. If you do not have a copier, I used Office Depot near my home to be very helpful. Of course use your favorite place of business.